How do I Eat Alfalfa Seeds? The source of caraway seeds is the caraway plant. 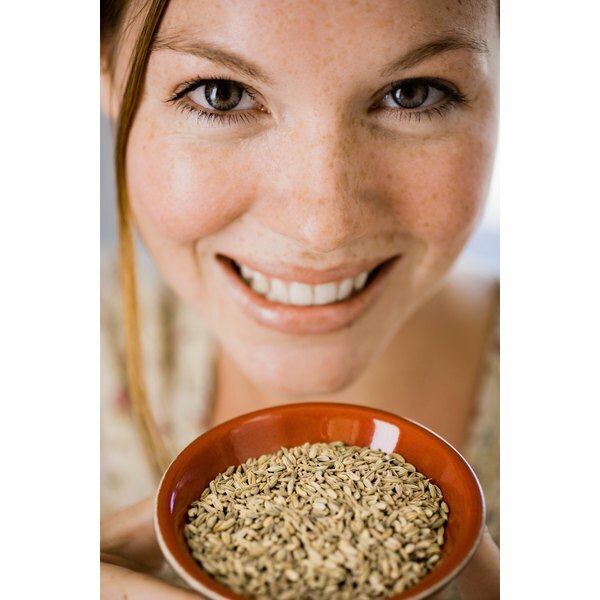 Caraway seeds have long been a popular herbal ingredient for culinary and medicinal uses. In cooking, caraway seeds are used to flavor baked goods, cheeses, alcoholic beverages, egg dishes, rice dishes and many types of vegetable dishes. As a medicinal herb, caraway seeds are used to treat indigestion, stomach cramps, flatulence, bloating, colic and other disorders of the digestive tract. The plant that produces caraway seeds should not come as a surprise. Caraway seeds come from the caraway plant (Carum carvi). It is a biennial plant native to Europe, Asia and Africa that completes its life cycle over two years, bearing its seeds in the second year. The plant has an upright branching stem and reaches a height of 1.5 feet to 2 feet at maturity in the second year. 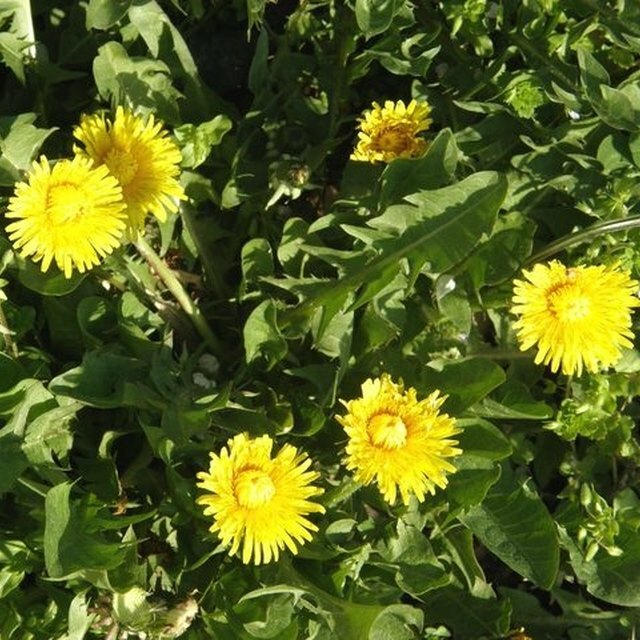 It has feathery green leaves that grow in opposite pairs or in groups of three. In the first year, the caraway plant grows to about 8 inches high. It features a rosette of feathery leaves that resembles the top of a carrot plant. The caraway plant also sends down a deep tap root before the leaves die back. In the second year, the plant sends up new leaves and tall stalks that bear clusters of tiny white flowers that bloom in midsummer. The flowers resemble the flower clusters of Queen Anne’s lace. The flowers yield the brown, elongated, ridged seeds prized for cooking and medicinal uses. Caraway plants grow best in U.S. Department of Agriculture hardiness zones 5 to 8. They like well-tilled, well-drained loamy soil with a high percentage of organic matter. This plant requires full sun and a soil pH between 4.8 and 7.8. Plant caraway seeds 1 inch apart in rows 18 inches apart. Plant when soil temperature reaches 70 degrees Fahrenheit. Keep soil moist until seeds germinate, which typically takes about 10 days to two weeks. Thin seedlings so they are 8 inches apart. Keep soil moist but not sopping wet. Caraway seeds are harvested in the late summer to early fall after the flower heads die and seeds have formed. Cut the flower stems, tie bunches together and hang over a container to catch falling seeds as you shake the flower heads. Spread seeds out to dry for several days. Store dry caraway seeds in a sealed jar or other sealed container in a dry, cool location out of direct sunlight.